Get the best of both worlds: Seven Sisters and Kringle! Our traditional Seven Sisters Danish pastry is handcrafted into seven individual rolls filled with almond custard. We top them with vanilla icing and toasted almonds. 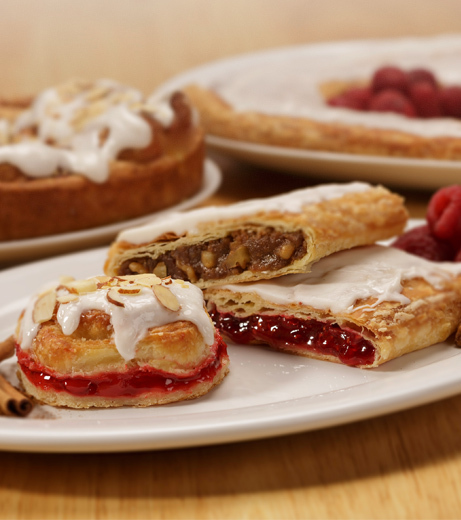 To complete this Danish experience, we've included our delicious Kringle available in any flavor you choose!